Halogen Pleat Shoulder Cardigan - Deep Gem. Highly, highly recommend! I want more. Black Lace Skirt: Forever 21. I need more skirts! I wear this one to death. Necklace: Nordstrom, purchased eons ago. So where is a good place to buy skirts, because I need more in my wardrobe! I hope you all had a wonderful Friday! cute!! i have been dating my boyfriend for 2 years, but i still get all dressed up to go out with him to the movies, or out to dinner. i think it's fun!! You look gorgeous!! I love that you still go on dates, that's so cute!! So when I read your post about 'new ring' I got all excited thinking you were engaged! And then I read it and it was a different kind of ring. Still very nice though! that lace skirt is gorgeous. I have a similar one in cream and love it :) have a great weekend! Cute skirt. Love the look of the plain tank with that skirt. nothing wrong with keeping it fun. 4 years into my marriage, we don't call it a date, but we get dressed up bit and go out to eat on the weekends. LOVE the black lace skirt! Definitely a great item to have in the closet. It's so adorable that you and your bf still go on dates :). My husband and I have a Saturday night each week. I find myself looking forward to every Saturday heh. 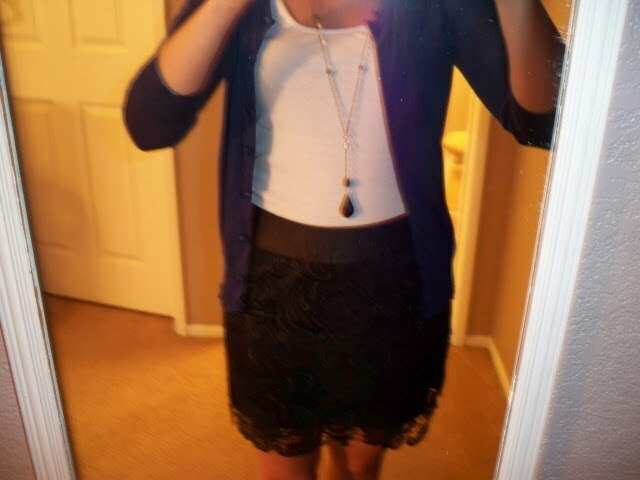 Your outfit was perfect for a date night! Hope you had a great time. I bet you did :). That's so cute!! Keeping things interesting is definitely key to making a long relationship work. 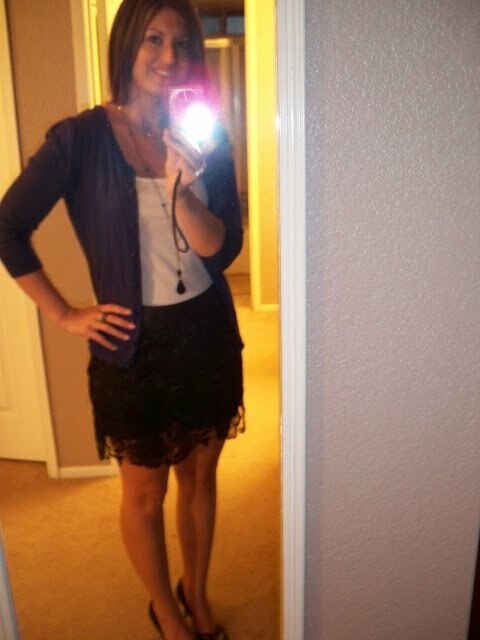 I love going on "dates" with my 5.5 yr long bf too.. even if it's just an excuse to get dressed up ;) Hope all is well well with ya! Emily: Haha, I am waiting for "the ring." You girls will definitely know when it happens! Veflexra: Thank you, I will take a look! You looks SOOOO great Noelle! Wow, the whole look is wonderful and your hair looks amazing. 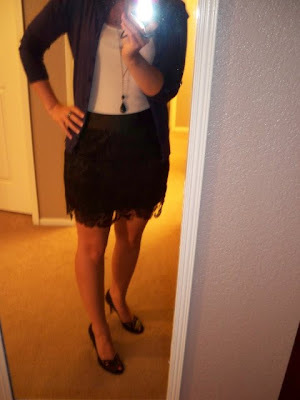 Date nights are a must for every couple and a great excuse to dress up! We do the same and your little Ricky looks a lot like my Mimosa!! 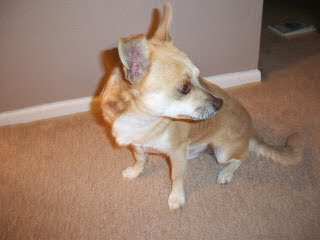 She is a chi-terrier mix and she is just adorable!!! This skirt is amazing. I love lace skirts and I can't believe I haven't seen this one, it looks terrific on you!